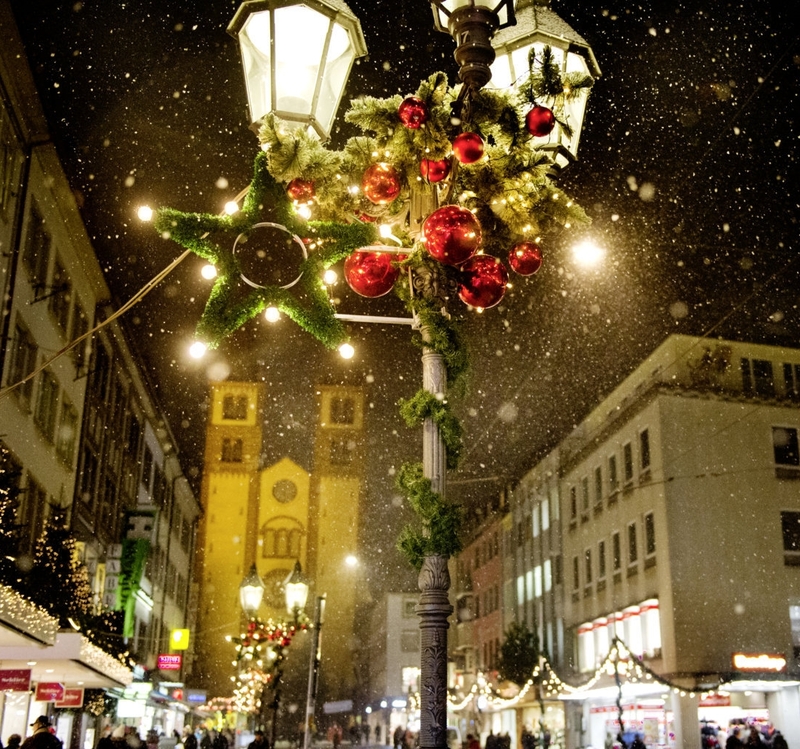 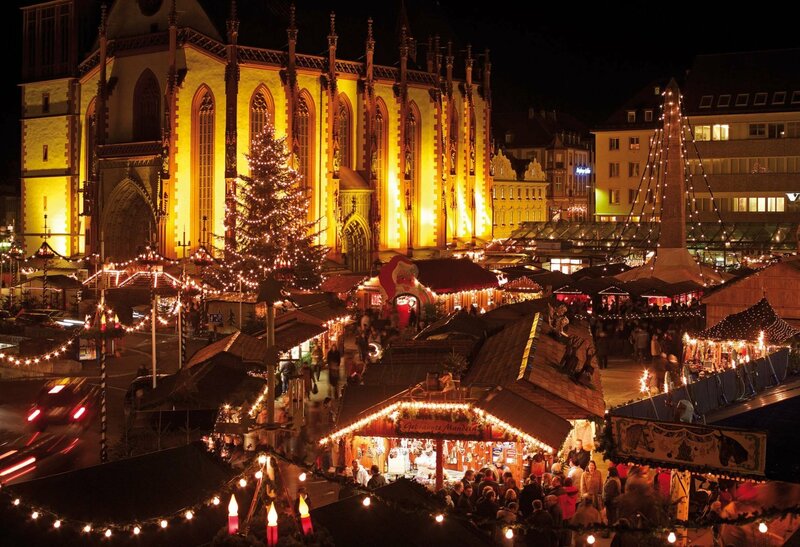 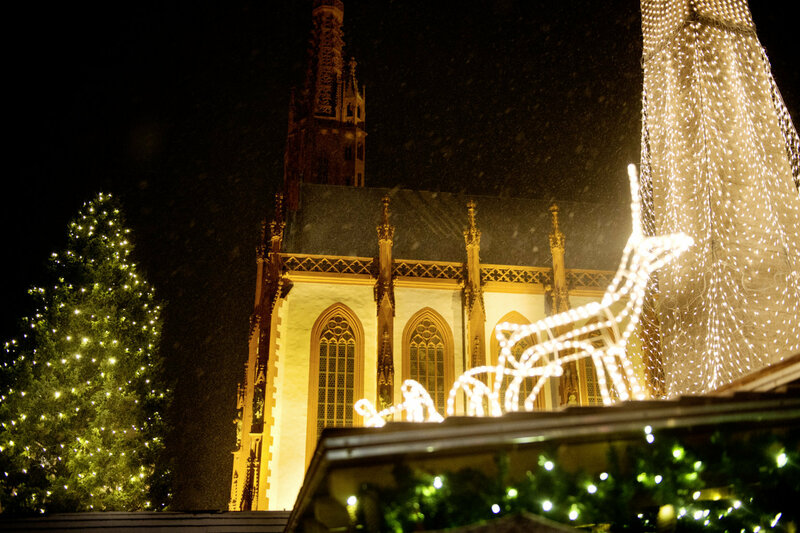 The tradition of Würzburg's highly scenic Christmas Market dates back to the early 19th century. 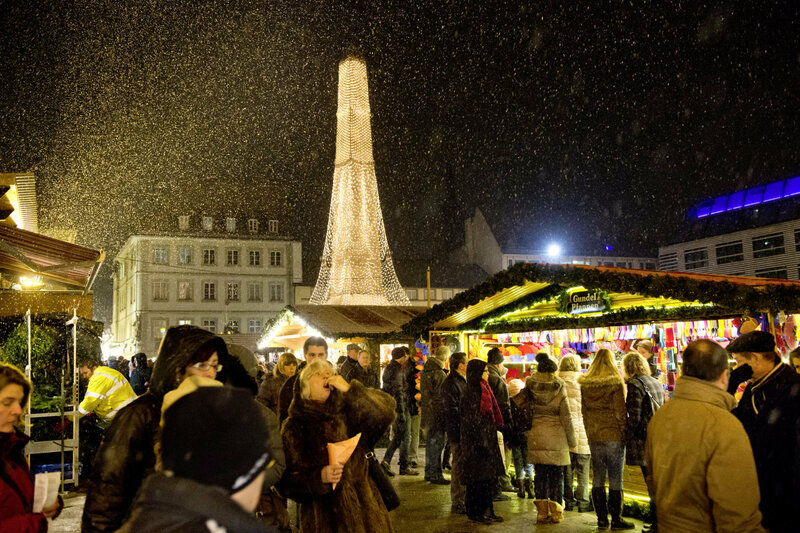 Visitors from all over the world enjoy a stroll through 100 wooden stalls, sampling delicious Christmas cookies and roasted almonds while sipping the traditional “Gluehwein”, a famous hot spiced red wine. Products for sale at the Christmas market include wooden toys, jewelry, teas and spices, traditional Christmas decorations, scented candles, pottery, embroideries, and hand-knit socks and gloves. 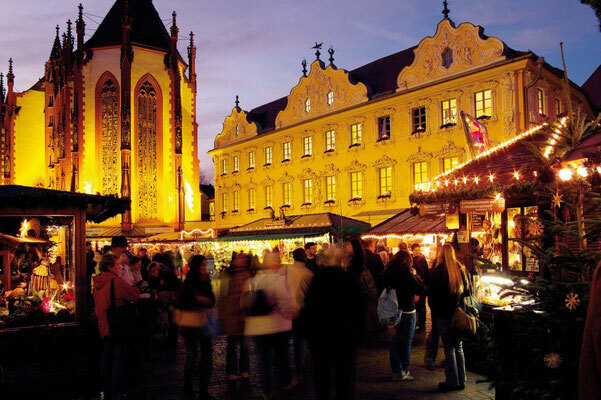 To top it off, some 40 artisans display their wares in the festively decorated courtyard of the Town Hall on all Saturdays and Sundays in Advent. 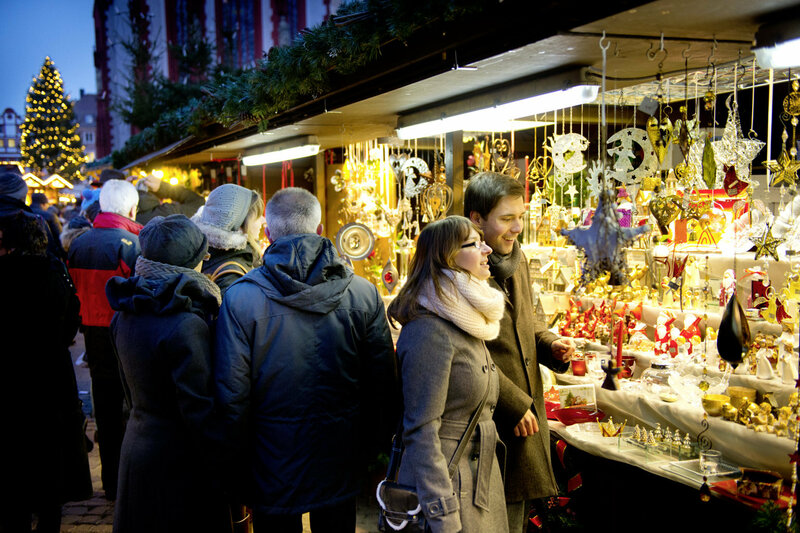 The focus here is on handcrafted items that are hard to find elsewhere. 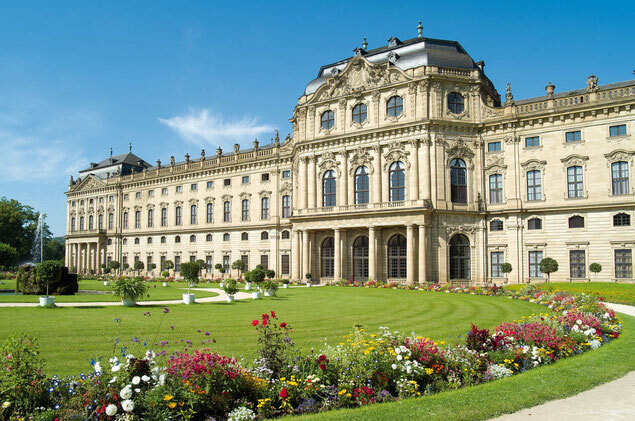 The former Residence of the Prince Bishops in Würzburg is the most beautiful Baroque castle in southern Germany. 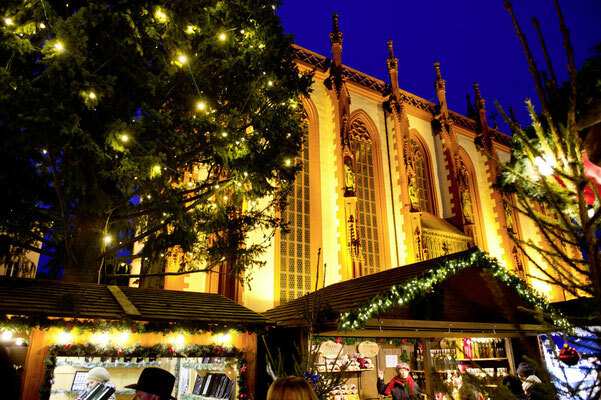 Its perfect architectural harmony is fascinating; most of all the magnificent façade of yellowish sandstone, the number of splendid state rooms at the garden front, the unique staircase with the largest ceiling fresco in the world and the fantastic Imperial Hall, the heart of the complex. 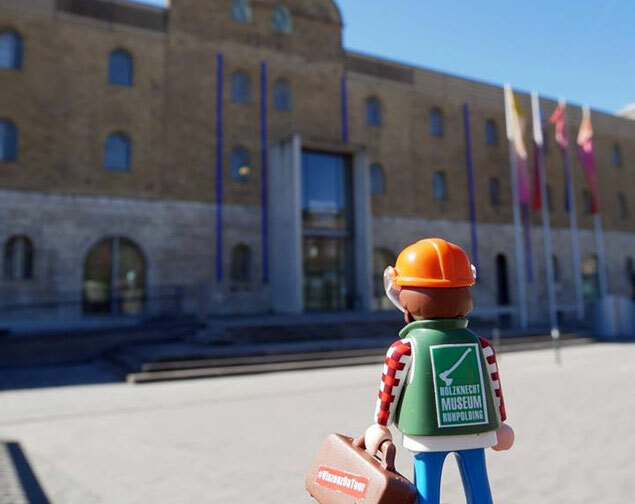 This award-winning museum is located in a former granary right next to Würzburg's port. 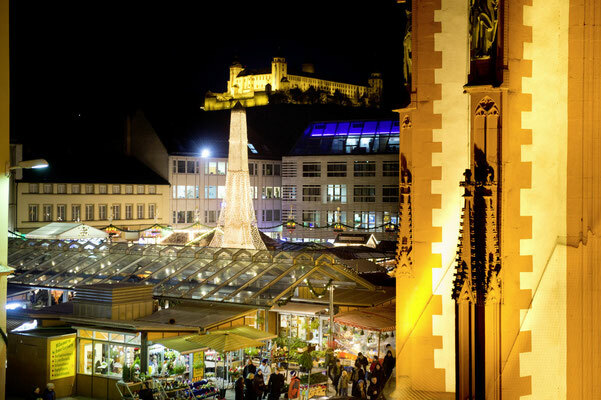 It houses the impressive Peter C. Ruppert collection of European Concrete Art after 1945 featuring works by Max Bill, Victor Vasarely, Bridget Riley and others. Additional collections include exhibits on the Age of Romanticism, the Biedermeier period, Impressionism, Expressionism and contemporary art. 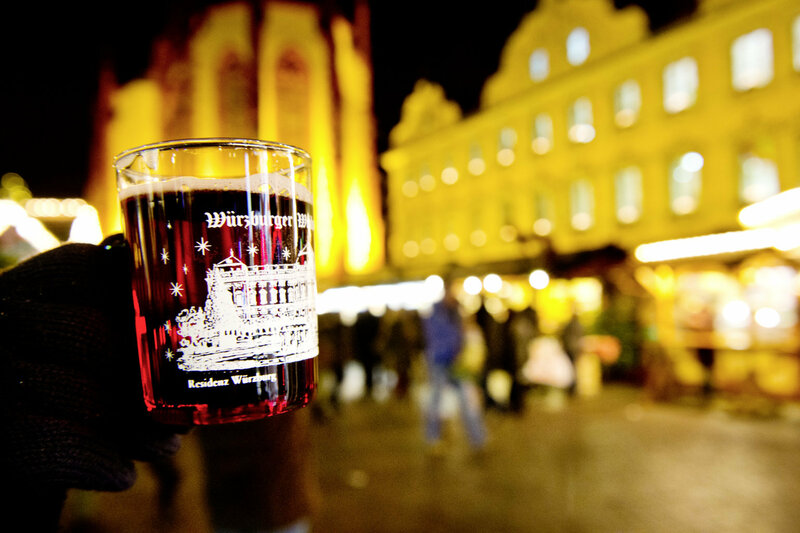 Würzburg is the center of the Franconian Wine Country. The famous vineyard estates Bürgerspital zum Heiligen Geist, Juliusspital and Staatlicher Hofkeller all have attractive vinotheques where their excellent wines can be sampled.